Threds is an industry leader in providing multi-unit restaurant chains with uniform support! The restaurant industry is one of the most competitive industries in the world, which is why attaining a strong brand image is essential. 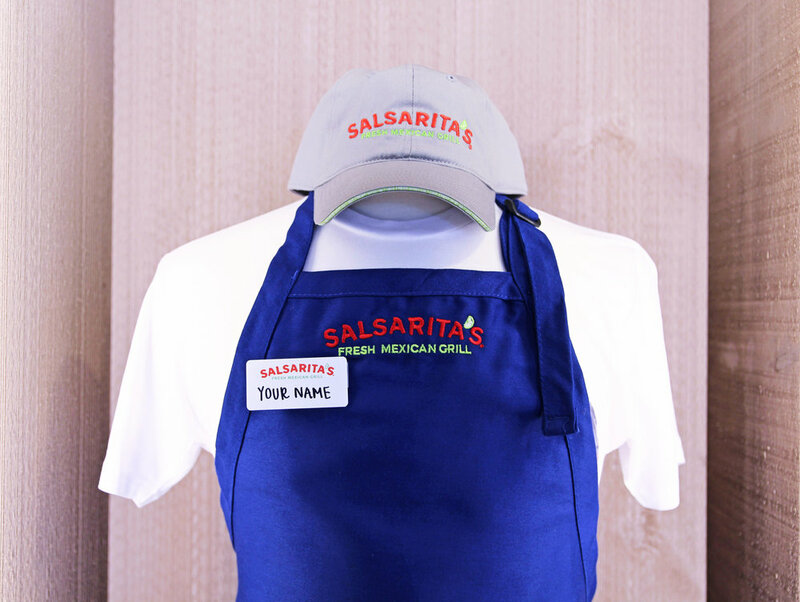 An easy way to effectively promote your brand is through company uniforms. We understand the importance of quality, functionality and fit, therefore Threds offers an impressive line of customizable workwear. All the way from product development to production, we have your employees covered. And to take it a step further, we make accessibility convenient by building custom online stores. Based on your specific needs, Threds is committed to helping you and your team every step of the way. We have top-of-the-line embroidery and screen printing machines. With in-house production, we are able to produce fast and keep your costs low. We like to call it customer-oriented production. We have complete control over the quality of the product, while keeping your costs low. This allows for more flexibility, increased efficiency and a quicker turnaround time with the ability to change on demand. Whether you use your existing logo or would like something creative and unique, Threds has an onsite design team to help fulfill your vision! With more than 87 years of combined experience, our award-winning designers consist of a creative, stylistically blended team that will provide you with creative and unique design solutions while offering fresh, innovative ideas to help bring your vision to life. Creating brand consistency goes beyond employee uniforms. Restaurants also benefit from custom promotional items to help expand their brand reach. Plastic cups, pint glasses and coasters are among the most common promotional items your guests will use while dining at your restaurant. Promotional items can go beyond the dining experience too. Whether you have a gift shop, employee incentive program or are planning promotional events, Threds is your one-stop shop for all promotional item needs. Have multiple locations? We create custom online stores where your managers and franchise owners can order directly from us, cutting down on costs and confusion. 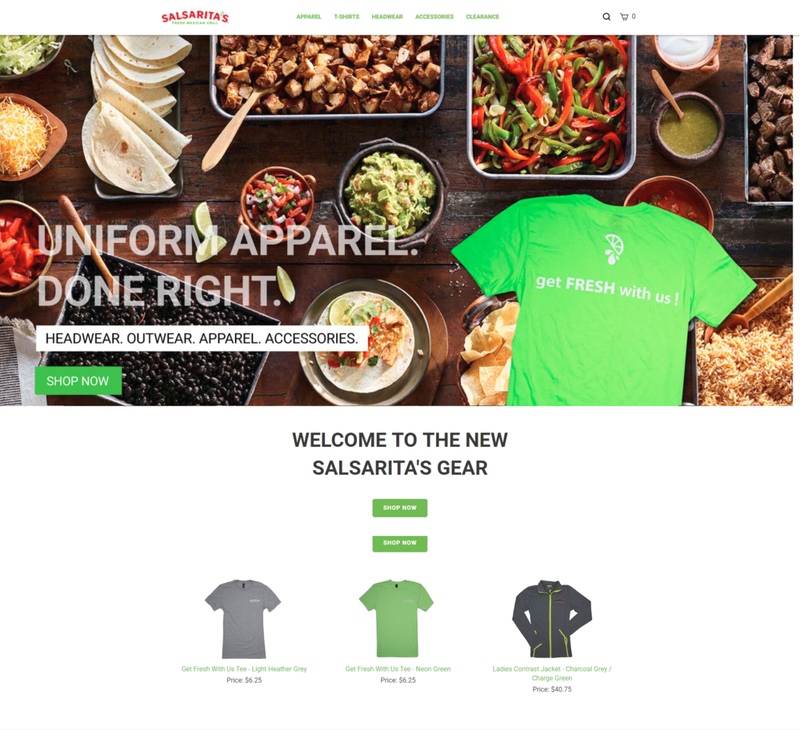 We build and manage your online store, develop apparel and promotional products, process orders/returns, warehouse and ship the products for you. We also manage all customer service and customer inquiries which gives you one less thing to worry about! If you currently sell or are interested in selling branded merchandise to your customers, we can develop a custom e-commerce platform to support your needs. Contact Threds today to learn more about how we can help build a uniform program that works for YOU! Still Hungry? Learn More Here. Every Mellow Mushroom is locally owned and operated which is why each one has a completely unique layout featuring custom designs, artwork, color schemes and signage. No two stores look the same. Their uniform program has always teetered on the edge of being progressive, with a noticeable thread of their original 70’s vibe still pulsating through every design.